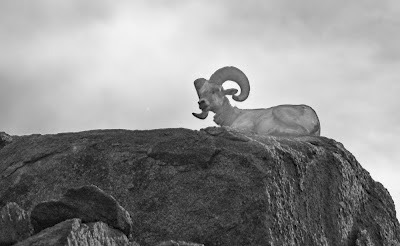 DalmDad's Photo and Travel Blog: King of the Desert? Tradition says the lion is the "king of the jungle." Other traditions go even further and say the lion is the "king of all beasts". While I may accept that “king of the jungle” stuff because I do not live in the jungle, I object to the characterization that the lion is king of all beasts. The lion is certainly not the "king of the desert." I am the king of the desert! Who else could hold such a title? A chuckwalla? I think not. Chuckwalla...King of the Desert? Not quite. 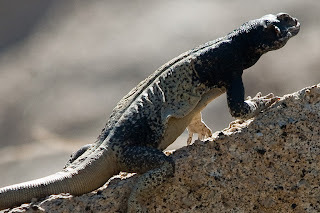 Gila Monster...King of the Desert? Scary name and venomous... Maybe, but nah! We are the few able to climb up the steep unstable walls of the desert valleys and sit up on the rock perches far above the road. Sometimes we will look down on you or, on other occasions, we may flat out ignore you and look over our desert. Coyotes can't reach us; cougars can’t reach us; you humans certainly can’t reach us. But, I can tease you all with my stoic downward looking gaze. My huge curling horns (sometimes weighing more than 30 lbs.) and expressionless face may give you the impression that I exist for the sole purpose of you photographing me. However, to make it clear who is in charge, I frequently make taking my picture extra difficult by sitting up on the rocks with the sun to my back, placing me in a dark, cool shadow. 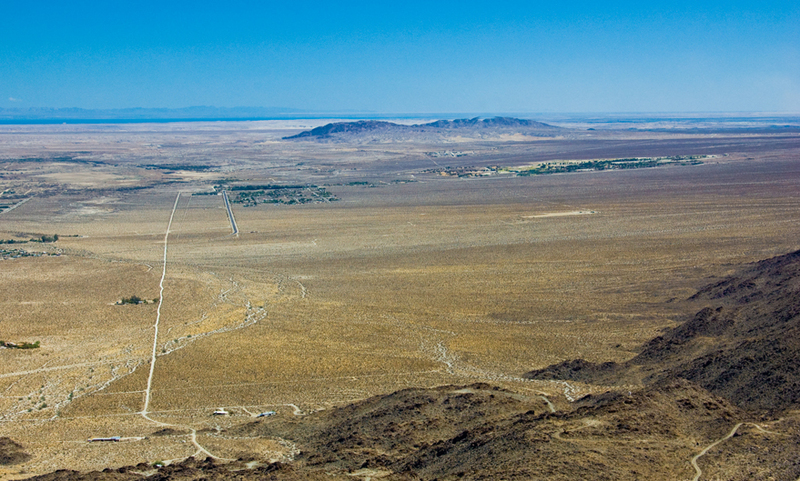 Montezuma Grade, the road leading down into and up out of the Anza-Borrego Desert State Park Valley Floor is a popular place for us to roam around and be seen. Our other grazing and watering areas near Lower Willows in Coyote Canyon are much more remote and closed to vehicle traffic. 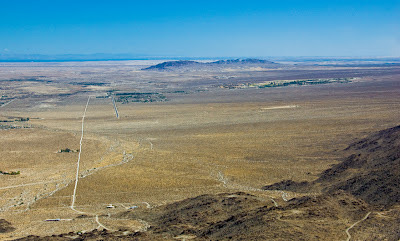 At a pull-off about half-way down the grade and looking due east over the entire Anza-Borrego valley floor and toward the Salton Sea on the horizon in the distance, I have seen some kind of board with a picture of one of my distant relatives on it. I cannot read the native language of the writing of the board, but I am guessing the board is a sign telling the reader this is ovis canadensis (big horn sheep) territory. I am forced to wear a green collar. I did not get to pick the color or approve the placement of the collar on me. I would have shown my disapproval to its placement on me by gently nibbling or firmly biting, if the need be the fingers of the ranger who collared me. However, the ranger drugged me from a distance with a chemical dart shot from a rifle a distance away. The ranger lacked the guts to try and approach me and drug me directly. Note: Gila Monster drawing from Wikimedia Commons.